Walk in well-prepared and confident. 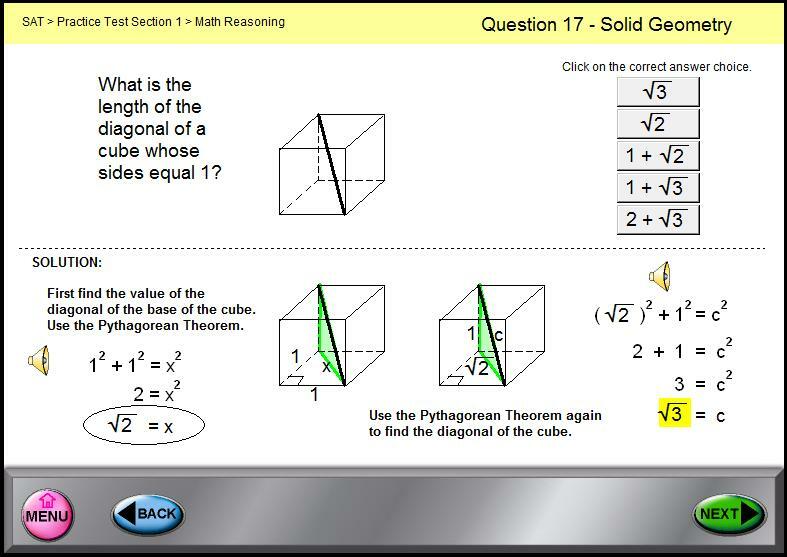 The student takes the test, scores the test, and is then offered the option to see the solutions. Each test is analyzed with detailed feedback including answers to every question with complete step-by-step in-depth tutorial solutions with AUDIO EXPLANATIONS. Strengths and weaknesses are diagnosed. Tests are analyzed by question topic to concentrate study efforts. 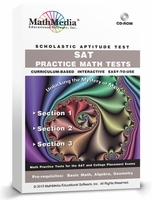 These model SAT math tests reflect the actual SAT in question types and degree of difficulty. Explanation for converting the raw score to the SAT scoring method is available. 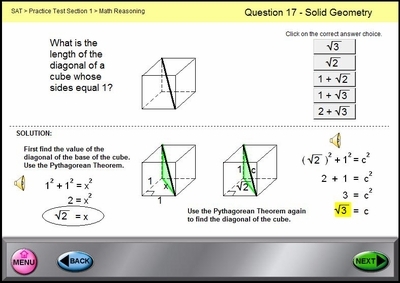 Colleges use similar testing for math placement purposes.